Modway Furniture available through Z Modern Furniture Store In Alexandria Virginia. White Glove delivery available in Northern Virginia, Washington DC & Maryland. Modway Furniture Offers is your source for modern office chairs, lighting, bar stools, outdoor wicker rattan sets, sofas, coffee tables and other designer furnishings! 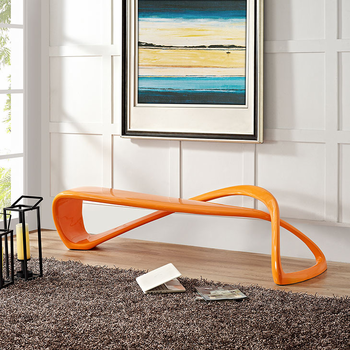 We are an authorized dealer of all Modway Furniture products. #1 IN AFFORDABLE MODERN FURNITURE Modway supplies the furniture and design trade with over 5,000 SKUs stored in our strategically located east and west coast warehouses totaling more than 1 million sq ft of dedicated space. Modway accounts benefit from extensive in-stock color, size, and style options with no order minimums, full drop-shipping capabilities, real-time inventory counts, and an easy online ordering process, making this a wholesale program that works for you. Modway services every major furniture category, and we now carry an extensive line of boxed mattresses and area rugs. Catering to both modern indoor and outdoor furniture needs, we make it easy to find the perfect products for your next project. We Love Working With Interior Designers. By opening an account today, you will be joining interior designers nationwide who regularly turn to Modway for their product sourcing needs. We know that interior designers prefer to purchase directly from the manufacturer. We also know that you appreciate the flexibility of ordering without minimums from our vast in-stock selection. Once your account is approved, a service specialist will be assigned to assist you with everything from product information to delivery options. We’ve modernized mid-century style with a dash of contemporary flair for an eclectic selection to suit every customer’s taste. Looking for trending styles and designs? Modway scours the globe for compelling designs of exceptional quality to meet the ever-changing needs of your customers. Hollywood production studios regularly turn to Modway for products to use in set props. When you source from Modway, you are engaging an audience that is already searching for these products. Modway products are also regularly featured in media outlets such as HGTV, Apartment Therapy, Domino, Brit + Co, Furniture Today, Casual Living, Lonny, and Architectural Digest. Modway Furniture New Arrival ! !